Back in the late 80s for me pop was fucked and being unaware of the then current underground UK and US scene I searched for cheap alternatives from the past. After playing The Cult's Electric LP to death I thought I would seek out their influences. 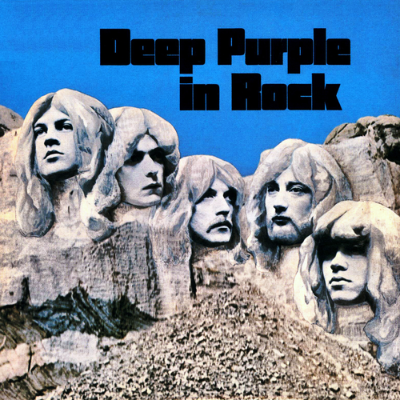 Led Zeppelin came first, followed by AC/DC and then, although unconnected to Ian Astbury's 1987 lot, Deep Purple. First was a completely fucked copy of Made In Japan that was virtually unplayable and then …In Rock. From the get-go I loved the heavy riffing and completely off the wall almost avant soloing; yes Ian Gillan's rock la bumba lyrics were quite cheesy but the power and heaviness of this LP blew me away. The intro to the first track, 'Speed King’, is just a heavy brutalist wall of noise.